Things that DON'T go Bump in the Night. There are some game cameras going in at the White Wolf Mine. 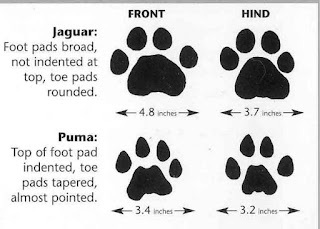 There are some cat prints that look too big to be mountain lions (unless it's a very big lion) that might just be jaguar. 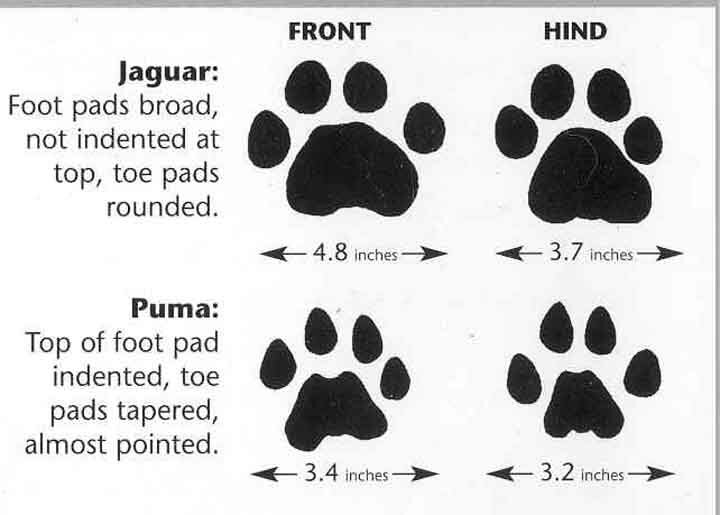 There are also smaller prints and I can't tell the difference between a bobcat/lynx, a smaller lion and an ocelot. 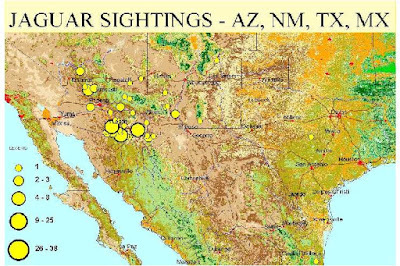 All three are known to be in the area. 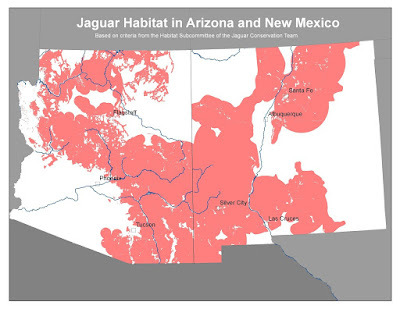 The holy grail is the jaguar. 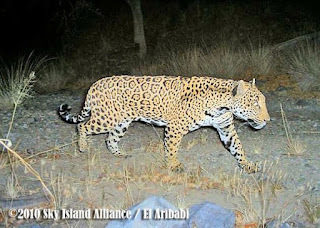 The photo (right) is of a jaguar living in the Tucson area. 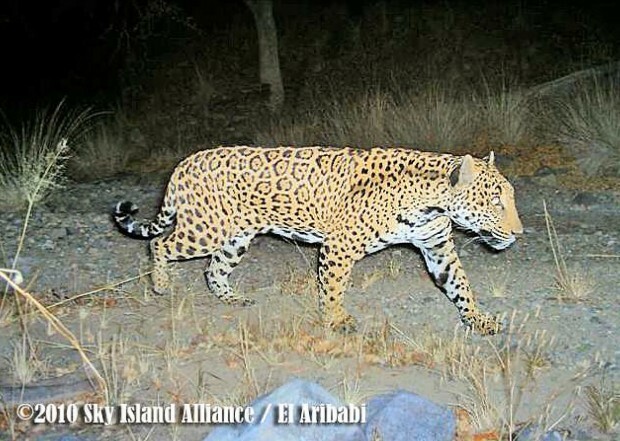 Understanding the difference in tracks is largely an issue of size - but a smaller female jaguar is roughly the same size as a mountain lion. 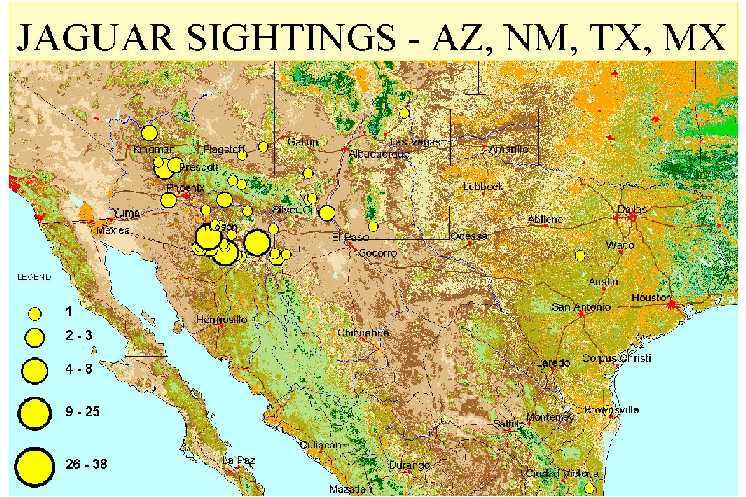 I haven't seen wolf tracks and wouldn't know a coyote howl from a wolf howl, so I don't know about wolves. However they have been released into the wild in my area and the US Forrest Service and Arizona Game and fish are tracking them, so they'll show up eventually.